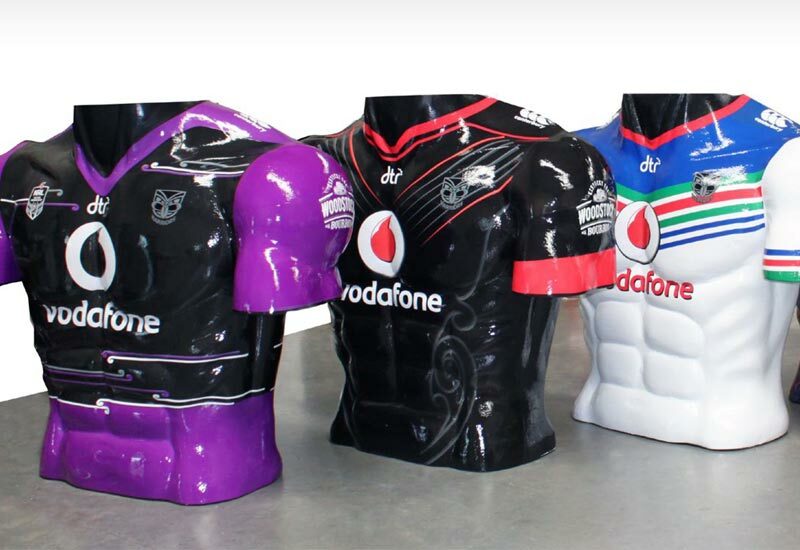 When Canterbury of NZ looked to launch the Vodafone Warriors new jerseys for the upcoming season, they turned to the team at Marketing Works to bring them to life. 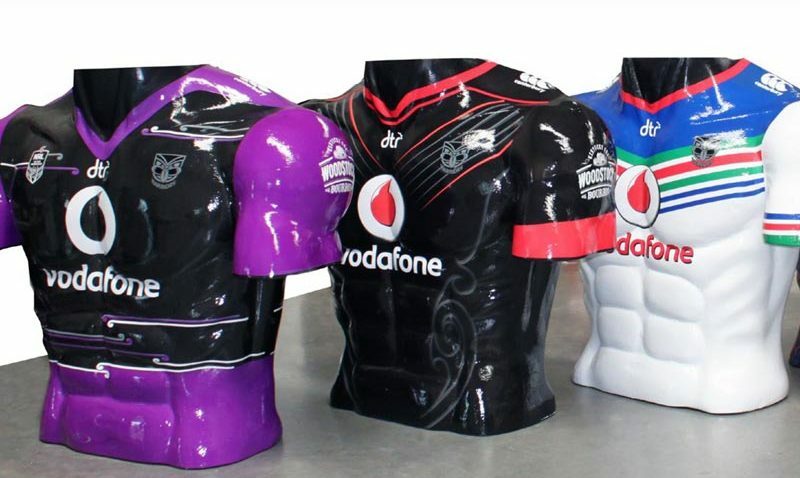 Standing at 1.6 metres high by 1.5 metres wide, these torsos were handmade by the props team and then printed and wrapped in vinyl in-house, making for an eye-catching display that was a huge hit with the crowd at the VIP members launch. Keep an eye out at your local Rebel Sport store for an appearance near you. For custom made props and displays that bring your brand or event to life, give the team at Marketing Works a call on (09) 837 5150.